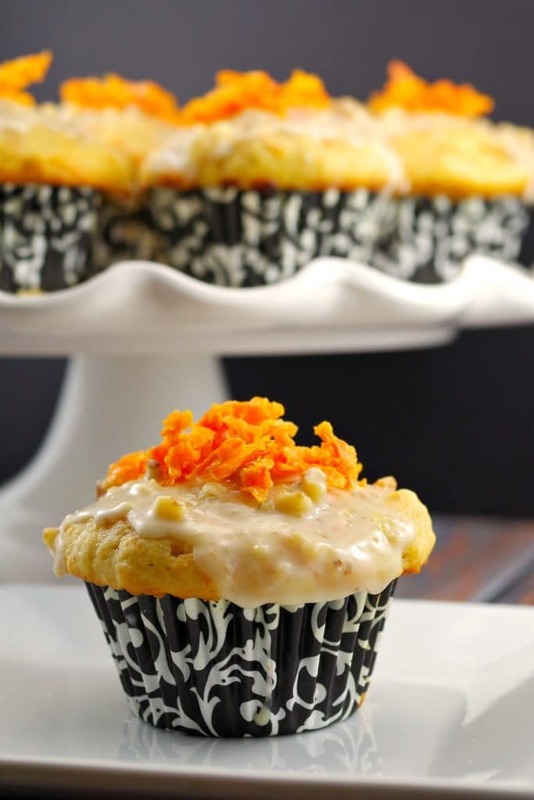 This Glazed Carrot Cake Doughnut Muffin was the delicious result of that bake-off challenge! 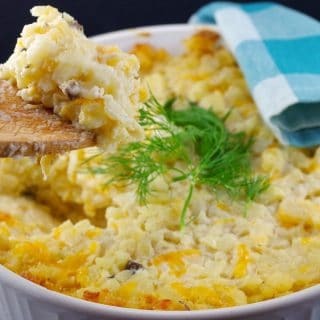 I actually created this recipe a few years ago, around the time my Mom and Grandma were coming to town for a visit from Winnipeg. It was close to Mother’s day so I decided to have an early celebration. My Mom’s fave muffin is carrot and my Grandma loves marmalade, which also goes so well with carrot (although I’ve made this with peach jam and apricot jam as well – peach being my fave). So I put the two together with Mascarpone cheese in the filling, an orange mocha glaze and candied carrots and VOILA! Deliciousness ensued….. Although this doughnut muffin is as easy to make as any muffin, it’s not your typical muffin. Therefore, I’m going to go as far as to give it the label “gourmet muffin” because it’s fancier than your average muffin or doughnut. However, it’s still not too fancy for a regular breakfast or brunch potluck. 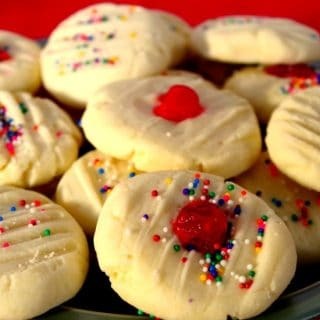 But if you want to bring something a little more elegant, that looks super yummy, it really is the PERFECT sweet treat for any breakfast or brunch potluck. 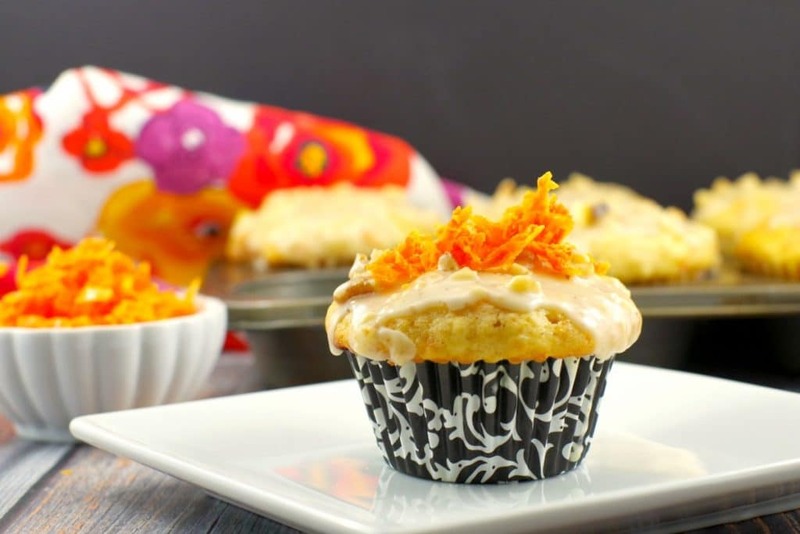 So, if you are looking for muffin ideas that are a little fancier than the usual and you LUV carrot muffins and donuts, this doughnut muffin is for you! A gourmet glazed doughnut muffin with jam Mascarpone filling, orange mocha glaze and candied carrots. Fancier than your typical muffin or doughnut, but easy to make. Perfect for your next brunch or breakfast potluck! In a large mixing bowl, whisk the milk, sugar, oil, eggs and vanilla until blended. Add in shredded carrots. In a separate bowl, sift the flour, baking powder, salt, cinnamon and then add this to the wet mixture, stirring just until blended (a few lumps are okay). Fill 18 muffin tin cups 2/3 full with the batter. Stir the jam, mascarpone and cinnamon together and drop a teaspoonful into each of the muffins. Scoop the remaining batter over top so that it covers the filling completely. Bake the muffins for about 30 minutes, until a tester inserted in the center of a muffin comes out clean. Allow the muffins to cool for 20 minutes, before turning out to cool completely. For the topping, whisk the ingredients together and spoon onto muffins, dividing evenly between all the muffin doughnuts. In a small saucepan heat water and sugar till the sugar dissolves. Bring to the boil, add the carrots, and simmer for 10 minutes. Turn off the heat and leave to stand for another 10 minutes. 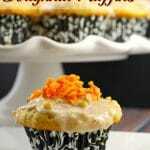 Add candied carrots to top of muffin doughnuts, dividing evenly between all of them. Serve. Like you, I like a good challenge sometimes too (just not at 5 p.m. !) This is a stunning creation! Carrot cake is absolutely my favourite dessert, and this recipe would not disappoint! There’s so much going on and it all sounds so delicious! Pinning to drool over later!